The summer before matriculating at the University of Chicago, I read the novel Americanah by Chimamanda Ngozi Adichie. I fell in love with Adichie’s work because she illuminated the struggles and success stories of African immigrant families like my own. Seeing components of my life and identity exemplified in Ifemelu, the protagonist of Americanah, inspired me to explore my African identity in college. Unfortunately, at the University of Chicago, this isn’t an easy task. One and a half years into my academic career here, I have developed the belief that the University has a responsibility to support programs related to African affairs. 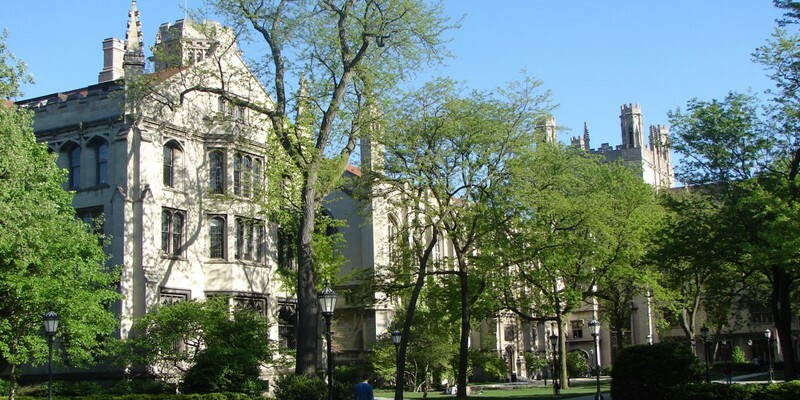 One opportunity that is unique to the University of Chicago is the ability to enroll in African Civilizations, one of many courses that fulfill the civilization studies Core requirement in the College. The University of Chicago also provides students with the opportunity to fulfill the civilizations requirement through a study abroad program. The purpose of the study abroad program is to “promote dynamic engagement beyond the classroom,” but this opportunity is seldom given to students interested in Africa, since not one of the 54 countries in Africa has an African Civilization study program. This is the problem: The African Civilization study abroad program is not in Africa. It is in Paris. The one-week trip to Senegal gets to the very core of why the African Civ program should be in an African country. Students deserve to have the same experiences that Professor Osborn had when she studied in Senegal, to immerse oneself in the culture they are studying. Why, then, is the bulk of the two-month program located in Europe? One explanation is the existence of a UChicago Center in Paris. Another reason is the faculty. Due to the lack of an African Studies department, center, or graduate program, the African Civilizations program is administered primarily by a limited number of faculty. The two faculty members who focus most heavily on African affairs are Professor Emily Osborn and Professor Jennifer Cole. Professor Cole is a cultural anthropologist in the Comparative Human Development department. Her research focuses on Africa—specifically the island of Madagascar and the legacy of its colonial and postcolonial encounter with France. Professor Osborn concentrates on African history, francophone Africa, gender in Africa, colonialism, and technology transfer and diffusion. Both professors have research interests related to France, a logical explanation for why the African Civilizations program is in Paris. When I asked Professor Osborn what is was like to teach African Civilizations in Paris, she quoted a merchant she met on the streets of Paris, who said “all of Africa is in Paris.” While Professor Osborn recognizes the concerns I have expressed about the location of the African Civilizations program, she suggested in our interview that a preferable solution would be to have more faculty members that specialize in African affairs. The rhetoric of poverty and colonialism displayed by this website, and the displacement of African studies from Africa, encourages a continued "otherness" of Africa from the rest of the 'Western” world. It assumes what Chimamanda Ngozi Adichie calls the “single story phenomenon” of Africa: a single narrative that has been told by predominantly Western media outlets which frames the entire continent as a disillusioned place of poverty in need of saving by wealthy developed countries. On the contrary, as Adichie noted in her famous 2009 TED Talk, “when we reject the ‘single story,’ when we realize that there is never a single story about any place, we regain a kind of paradise.” The only way of moving forward is to replace the “poor, colonial subject” mentality embedded in Western higher education and featured on UChicago’s Study Abroad website. After expressing my deep concern to Sarah Walter, the associate dean of international education, the website was changed. In an email, Dean Walter apologized for the language. 54 countries, 1.1 billion people, and countless cultural sites, but instead the University of Chicago website suggests animals are all you’ll see when you travel to the continent. While Africa’s wildlife is breathtaking and unique, it is not the focus for students interested in African civilizations. The continued emphasis of the African continent as a wild and undeveloped place furthers a narrative which trivializes its political, civil, and social problems. And we are able to buy into this trope most effectively when we do not study abroad and see it firsthand. After examining the African Civ in Paris program, I decided that I can not in good conscience participate in the program, and have searched for other options. There is a Botswana program, which is the successor to an earlier Tanzania program and has a focus on southern development and ecology. This program’s focus on science holds limited appeal for those interested in other subjects pertaining to Africa. However, the University made sure to include on the website that the University of Botswana is a “modern and equipped institution.” Language such as this makes me wonder who questioned whether or not the University of Botswana is capable of operating at “modern” standards. UChicago students, learning about African civilizations, invest large amounts of money into France, a country that colonized about 30 percent of Africa. This is fundamentally problematic. The University of Chicago needs to invest its time, money, and resources into an African country. The economies of former French colonies, such as Senegal and Togo, are far less developed than France’s. Hosting the African Civilizations program in Africa would bring business to developing economies, instead of Paris, a hub for the global economy. Although the standard of living differs between France and a majority of African countries, imagine if 20 students and three faculty members spent $200-$250 dollars a week in Dakar, Senegal. They would invest about $4,600-$5,750 into the local economy per week. For one quarter (about ten weeks), about $46,000-$57,500 would be spent on food and incidentals alone! Fanon’s analysis of postcolonial Africa is still relevant today. The University of Chicago made Fanon a required reading for a reason; the University may want to heed his criticism and remove African Civ from Paris. While I do recognize that many academics group Northern African countries and Middle Eastern countries underneath the same umbrella due to the two regions’ cultural, linguistic, and historical similarities, the fact of the matter is that there is existing infrastructure in Morocco to support other programs. The University could expand the Morocco program to include African Civ and related Africa-focused programs. This could potentially be a step in the right direction. When talking to administration about this issue over the past few weeks, I have learned to start with the greatest strength I, as a student, bring to this discussion. I no longer begin the conversation by raising the question of whether or not African Civ should continue to be in Paris or whether or not we need study abroad programs that support study of Africa with the same respect and integrity as the other Civ courses. Instead, I begin with the essential question: “ Do I, or do I not, pay tuition at the University of Chicago?” I then proceed to discuss how my tuition is being spent for the betterment of those interested in studying Africa. While bureaucratic circumstances that are beyond my scope as a student may surround the issue of African Civ in Paris, there is one central message I, as a tuition-paying student, want to communicate to the administration: East Asian Civ is in Asia, European Civ is in Europe, Roman Civ is in Rome, and Latin American Civ is in Latin America. It is time for African Civ to be in Africa. The image featured in this article was taken by Luiz Gadelha Jr. The original image can be found here.